Getafe quickly bounced back from a 2-0 loss to Real Madrid, with the team beating Eibar in front of home fans on Matchday 3. Los Azulones gave fans some cheer and they are considered as favourites to win Friday’s football match against Real Valladolid. The capital club produce thrilling performances in front of home fans and seeing that La Pucela have yet to find the net in the 2018/2019 La Liga season, we predict that the hosts are going to record yet another home win. Real Valladolid head into the match following a 1-0 loss to Barcelona and it has to be noted that they had a goal disallowed in the stoppage time. Anyhow, the quality of the pitch was poor, which is the main reason why Barca failed to crush the newcomers at Estadio Jose Zorilla. Getafe are more of a team than Real Valladolid and we predict that they are going to pick up all three points from Friday’s clash. Damian Suarez is a Uruguay footballer who plays for La Liga side Getafe as a right-back. Born in Montevideo on April 27, 1988, Suarez played for the youth team of his hometown club Defensor at the start of his career and he eventually made 63 appearances in the Uruguayan top flight for La Viola. In 2011 the pacey full-back moved to Spain, signing a three-year contract with Sporting Gijon. At the end of the season he joined Elche and after making 98 appearances for los Franjiverdes from 2012 to 2015 he signed a deal with Getafe. Damian Suarez has established himself as a first-team regular at the capital club and he played 41 games for los Azulones in the 2016/2017 Segunda Division campaign, including play-offs fixtures. Getafe secured promotion to the Spanish elite division thanks to a 3-2 win (on agg.) over Tenerife in the two-legged tie. Suarez has three caps for Uruguay U20 team and he represented La Celeste at the 2007 FIFA U20 World Cup. 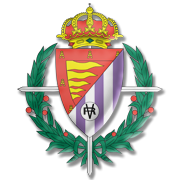 Real Valladolid is a Spanish club based in Valladolid, the part of the autonomous community of Castille and Leon. Founded in 1928, Real Valladolid play their home matches at Jose Zorilla, the venue that has the capacity 26,512. La Pucela have yet to win the La Liga title, but it is important to note that they finished fourth at the end of the 1962/1963 season. Real Valladolid made it to the Spanish Cup final on two occasions (1949/1950, 1988/1989). In 1984 they won Copa de la Liga (League Cup), which is considered the team’s biggest success. Speaking of their European records, Real Valladolid participated in the 1989/1990 UEFA Cup Winners’ Cup quarter-finals. La Pucela are well known for their purple and white shirts, but they are known for some top-class footballers as well. The likes of Diego Costa, Cuauhtemoc Blanco, Borja Fernandez, Rene Higuita, Luis Garcia and Aritz Aduriz played for Real Valladolid in the past.